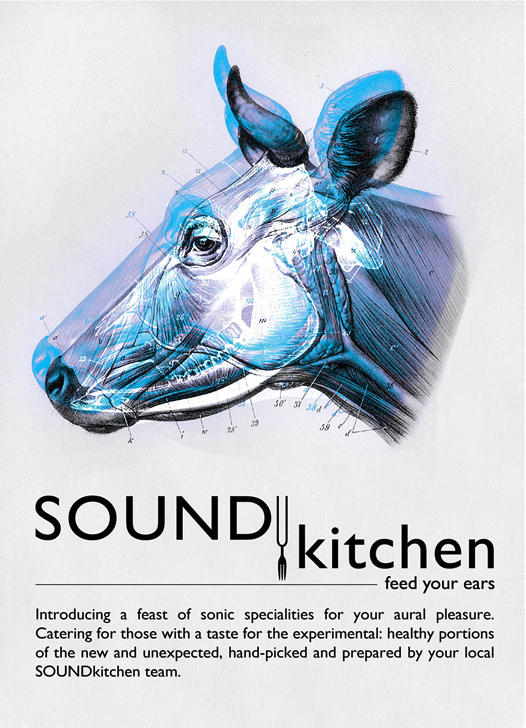 SOUNDkitchen launches their first series of concerts with the Opening Banquet at the Hare and Hounds in Birmingham on 17th February 2011. 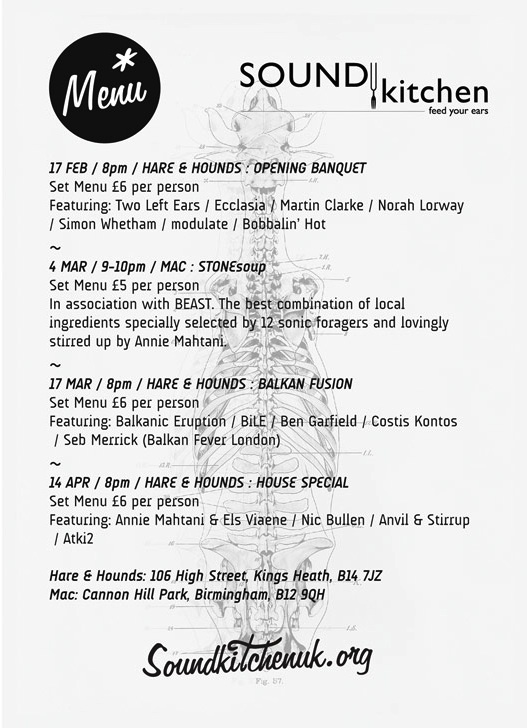 Here is the flyer with info on all the gigs. More info, artist bios, audio etc on the website. This entry was posted on Wednesday, February 16th, 2011 at 10:57 pm and is filed under Performances, Projects. You can follow any responses to this entry through the RSS 2.0 feed. You can leave a response, or trackback from your own site.